Both Maria and I are pretty passionate about photography. While we are far from professional photographers, we do enjoy taking nice photos of the places we travel to. But there is one thing that often gets in the way of taking that spectacular shot, and that is having to carry the cameras around everywhere. Sometimes we leave it at home or in our hotel room because the thought of walking around all day with cameras dangling around our necks just isn’t very appealing. And, of course, that is typically when those once in a lifetime moments happen, and we really wish we had our cameras. Hiking in the mountains with Varga the husky 🙂 The Capture Clips is perfect on these sorts of trips. While a regular camera strap works okay for wandering around an attraction taking pictures, once you need to actually climb a staircase, step over a tree trunk, ride a bike or even just bend down to tie your shoelaces, that dangling piece of lead becomes a real nuisance. A couple of years ago I came across what was at the time a Kickstarter project that seemed like it may have solved this problem – the Capture Clip from Peak Design. I forgot about the Capture Clip for a while, but before setting out on our latest travels, we decided to buy a couple of the clips (they are now in their second version) and see if they really work. For the last twelve months we have been using them almost every day, in all sorts of conditions – from exploring ancient temples in Indonesia and Cambodia, hiking in the mountains of Sri Lanka, to wandering about photographing the busy Tokyo. 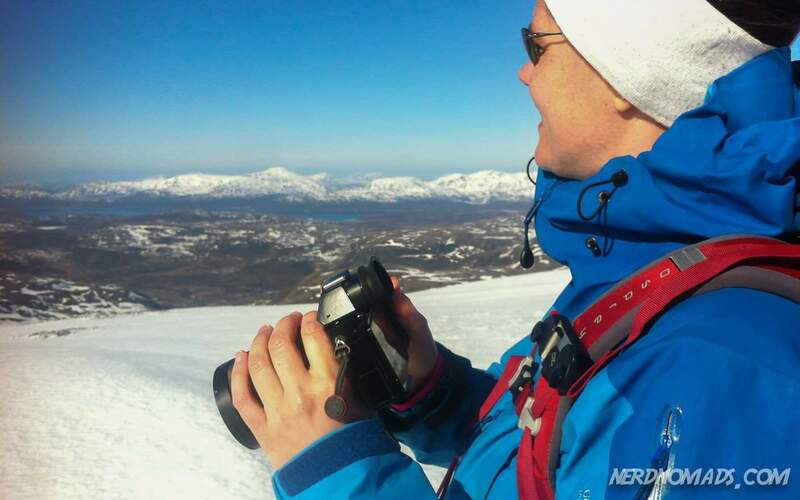 Maria using the Capture Clip skiing in mountains of northern Norway, May 2015. 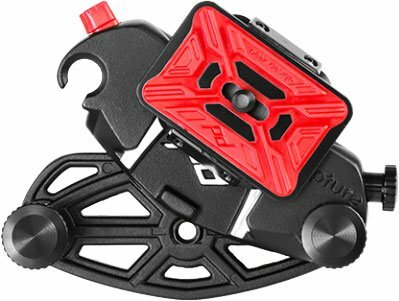 What Is The Peak Design Capture Clip? The Capture Clip is a camera carry system that lets you attach your camera to a belt, such as a backpack shoulder strap, sling bag, purse or waist belt. It uses a small attachment plate that you put underneath your camera, that slides into the Capture Clip. The connection is very secure, and we have never experienced it sliding out or accidentally becoming loose. To detach the camera you press the red button (see picture above), and easily slide the camera out. For extra security, you can twist the red button, that way you have to untwist it again before pressing, and accidentally pressing the button becomes impossible. There is also a black knob that when tightened will lock the connection down really tight with absolutely no wiggle room. The attachment plate is compatible with the Arca-Swiss tripod attachment system, so if you like us have a tripod that uses this system, you can easily move the camera between the Capture and your tripod head. 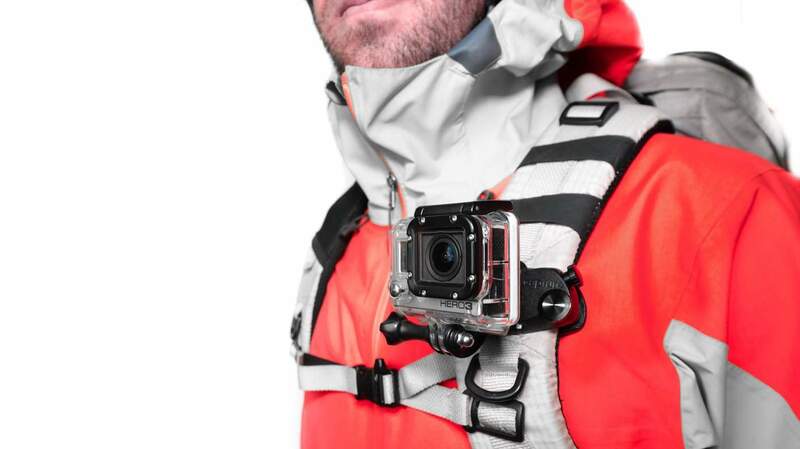 The action P.O.V mount system is something we really want to get for our GoPro! Photo by Peak Design. Does The Capture Clip Work? Yes, it really does! It is one of those small smart things that you end up wondering how you could ever have done without. Sliding the camera onto my bag strap, backpack or belt, is so much easier and more secure, than having it dangling around my neck. And much more comfortable. We travel with two cameras – a rather large and heavy old Nikon D90 DSLR with a big lens (18-200mm) and a new smaller mirror-less Sony A7s camera. The Capture Clip works equally well with both. However, if using it with a large and heavy camera and lens combo, I do recommend getting the additional Pro Pad. The added padding of the Pro Pad makes it very comfortable to wear with a heavy camera, in a belt or on a backpack shoulder strap. 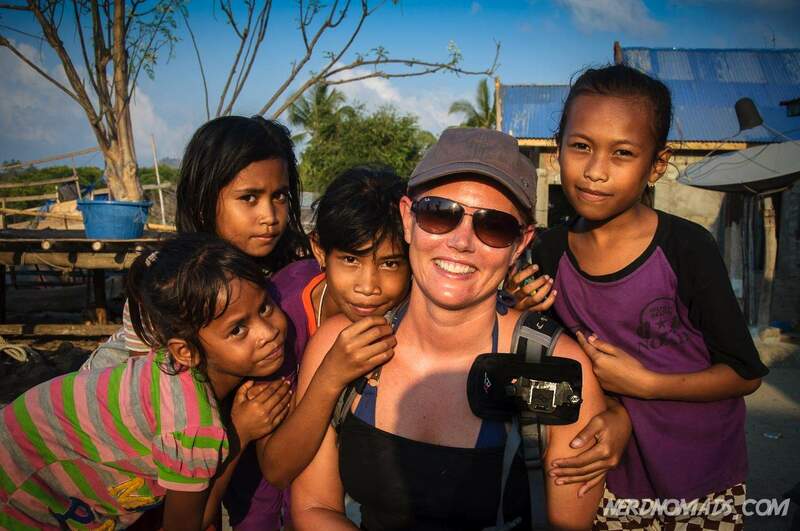 Maria making new friends at a fishing village in Komodo National Park, Indonesia. The optional Pro Pad that she is using here together with the Capture Clip makes it very comfortable to carry even heavy cameras on a thin strap. The Capture Clip is available in two different models – The regular Capture Clip and the Capture Pro Clip. The difference is that the Pro version is made of all aluminum, is slightly heavier and has a more flexible attachment plate that fits both ARCA and Manfrotto RC2 tripod heads. We have the pro version, but I’m sure both models are very well made. Maria using the Capture Clip on her camera bag at Borobudur Tempe, Java, Indonesia. Well, there is no sense in beating about the bush. The Capture Clips is hands down our favorite photography accessory. Having used it almost every day for over a year now, it has yet to let us down. It just works really well and has made traveling with a camera a much more pleasant experience. For any active traveler or photographer, I think it is pretty much a must have. 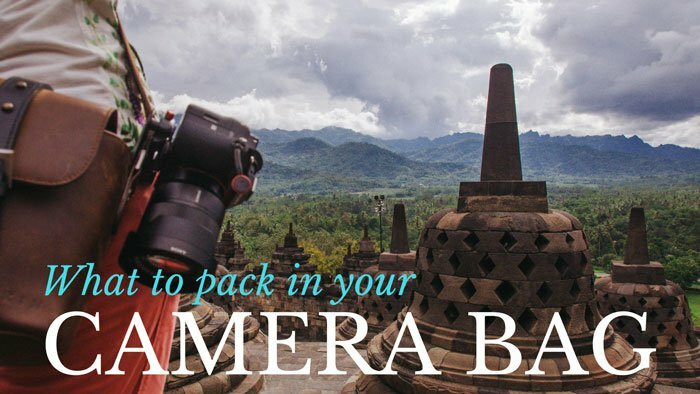 How do you carry your camera when you are traveling, sight-seeing or hiking? Please leave a comment below. If you liked this and found it useful, please share it on social media. Thanks! 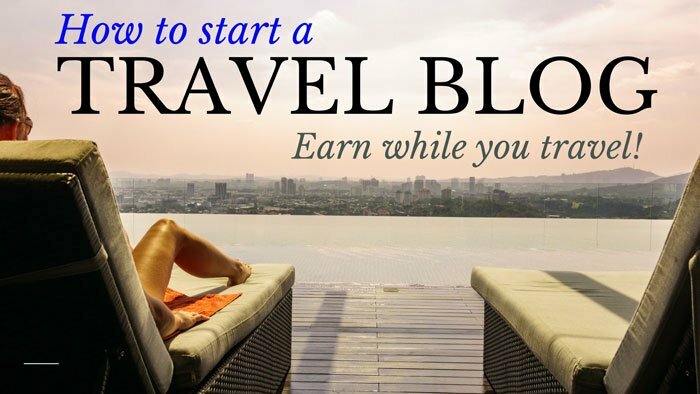 All products recommended on this page is something we personally use, and none are paid placements. Some of the above are affiliate links and we will earn a percentage of the sale if you purchase through them at no extra cost to you. This helps keep our site running – so thanks in advance for your support! Espen got his start as an independent traveler at age 19, when he packed his backpack and bought a one way ticket to Indonesia. Since then he has explored more than thirty countries. He holds a masters degree in computer science, but his true passion is photography and filmmaking. He has directed short films, music videos and commercials. Thanks for this review, I’m a lot like you guys – first saw the capture when it was still in its Kickstarter design phase, forgot about it, and now eager to make up for lost time. Used a blackrapid strap while I was backpacking, and while it freed my hands, it also meant the camera swung wildly if I was doing anything other than walking at a leisurely pace. Good to read a review from a fellow traveller who’s used the Capture on their travels. Really happy the review was of use to you. It really does sound like we have had a very similar Capture Clip history. 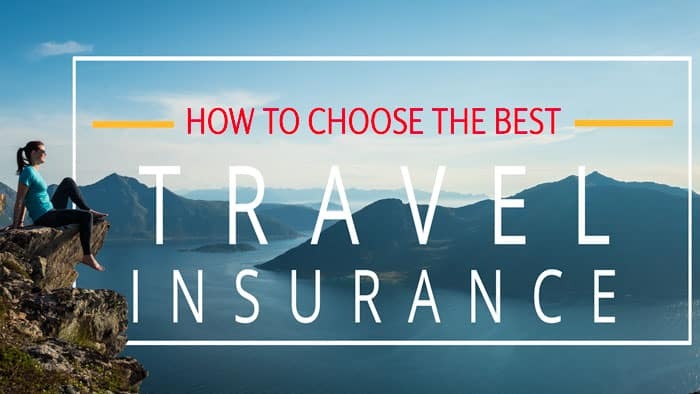 I really think it is a super useful little tool for our kind of travel. Btw, we just ordered the Action P.O.V mount for the Capture to use with our GoPro. Looking forward to trying it out soon 🙂 Thank you for using our discount code! Happy travels! I’m planning to get one of these myself. But I’m a bit concerned if my camera will be to big to wear comfortably. I have a Nikon D7100 and with the lens it weights around 1.2 kg. You say you have an older Nikon DSLR, can you tell how it is to wear on the Capture Clip. How much weight do you think it can handle fastened to a backpack? Our old camera is a Nikon D90 that we use an 18-200mm lens on when traveling. We actually used to have a D7000, but it got stolen in Bangkok a few years back. The D90 plus lens is about 1250gram in total, and we carry it on the Capture clip all the time, even on long hikes in the mountains. It works very well. I probably wouldn’ t go hiking with a Nikon D4 with a 70-200mm attached to my belt with the Capture Clip, but that is just because it probably wouldn’t be very comfortable, not because I think the Capture Clip couldn’t take the weight. The Capture clip, especially the pro version, is made of a very sturdy material. However when using the Capture on a belt with heavier cameras like a Nikon D90 or a D7100 I would highly recommend getting the Pro Pad accessory to use with it. It is much more comfortable to wear a heavy camera with the Pro pad. The Pro pad is also nice to have if you want to put the Capture on a smaller hiking backpack that has thin straps. It just adds some padding, that help to make it comfortable to wear even on longer hikes. Great post, I love your photos! thanks for the advice, beautiful pics, congrats!! Thank you, Andrea! Happy you found it useful. Takk for fantastisk tips! Jeg måtte kjøpe både Capture og Slide til min tur i januar. Nå gleder jeg meg veldig, en av mine største bekymringer har vært nettopp dette med å bære med meg kameraet. Åh, så artig at du også har kjøpt capture clip og slide! Supersmart liten sak som har berga oss mange ganger både på fjellturer, byvandringer og sightseeing. Da trenger man ikke bekymre seg for kameraet som dingler rundt halsen. Da er kameraet forsvarlig sikret og er ikke i veien så du har hendene fri til andre ting når du ikke tar bilder. Håper du blir fornøyd! Så spennende at du skal på tur i januar! Ha en riktig god tur!